RATANAKIRI, Cambodia, 27 January 2015 – There was a time when few pregnant women in Lamoeuy village, northern Cambodia, received antenatal care services from the Voeunsai Health Centre 20 kilometres away. Mr. Saly (right) a member of the health outreach team, provides vaccinations to children in Lamoeuy village, north-east Cambodia. Lamoeuy is a Kavait ethnic minority village located approximately 71 kilometres from the provincial town. All this changed in 2013, when - with UNICEF support – the health centre launched a health outreach team. As a result, last year, about one-third of the pregnant women received antenatal care at least once. PHNOM PENH, Cambodia, 23 January 2015 - Phalla Sophy, aged 10 months, is one of five brothers who lives in his grandmother’s make-shift house in Sangkat Deum Tkov: one of 120 urban settlements in Cambodia’s capital, Phnom Penh. During a recent UNICEF-supported nutrition screening of over 4,000 children under 5 years old in the settlements, Sophy was found to be malnourished. His cousin Lon Samthida, a 7 month old girl, who lives in the same house, was identified as severely malnourished. 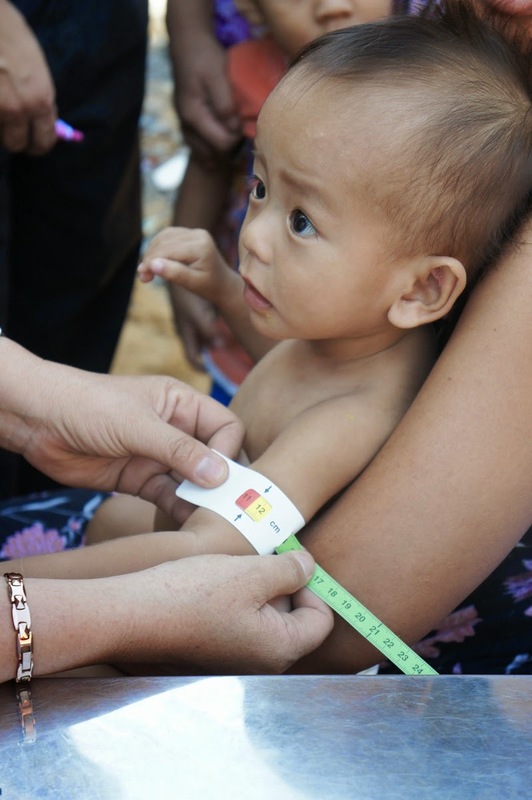 Phalla Sophy, 10 months of age, being screened for malnutrition in Sangkat Deum Tkov, one of 120 urban settlements in Cambodia’s capital, Phnom Penh. 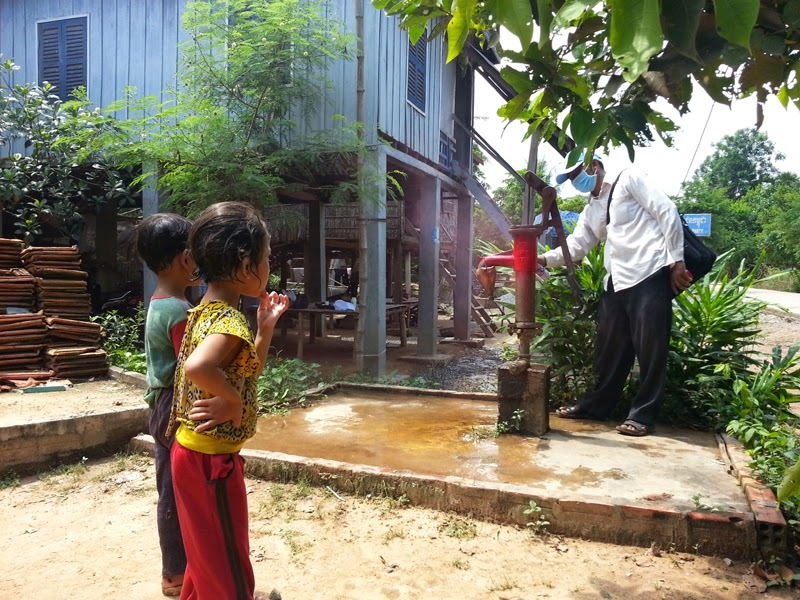 KANDAL, Cambodia, 09 January 2015 - In arsenic-affected Kampong Kong commune in Kandal province, Cambodia, it has taken many years to get the community to understand the risks of drinking contaminated well water and find safe alternatives. © UNICEF Cambodia/2014/ Meas Bunly: Most pumping wells in the commune are arsenic-affected and authority marked them read to warn villagers not to use them.